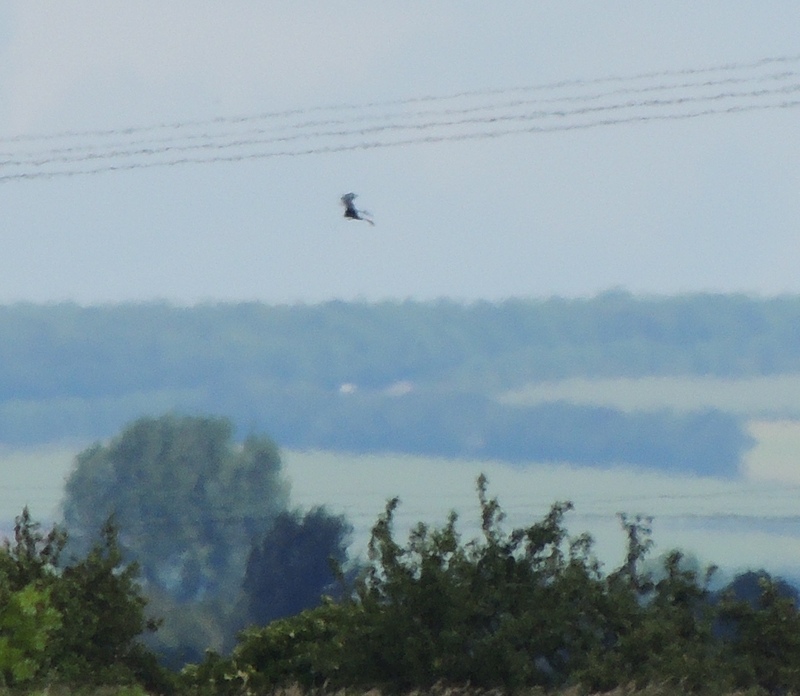 21/6/15 Having almost by accident had good views of the breeding pair of Montagu’s Harriers at the undisclosed East Yorkshire site last year as well as seeing them a few times from another site I wasn’t in a great rush to catch them at Blacktoft Sands RSPB. However Sunday with little about in “the valley” and with the added bonus of Ring-necked Duck JH and I decided to make the trip. On arrival, following a quick look in the information hide, went it straight to Singleton Hide where the harriers were routinely reported from. With them now a bit “old hat” the hide wasn’t crowded. 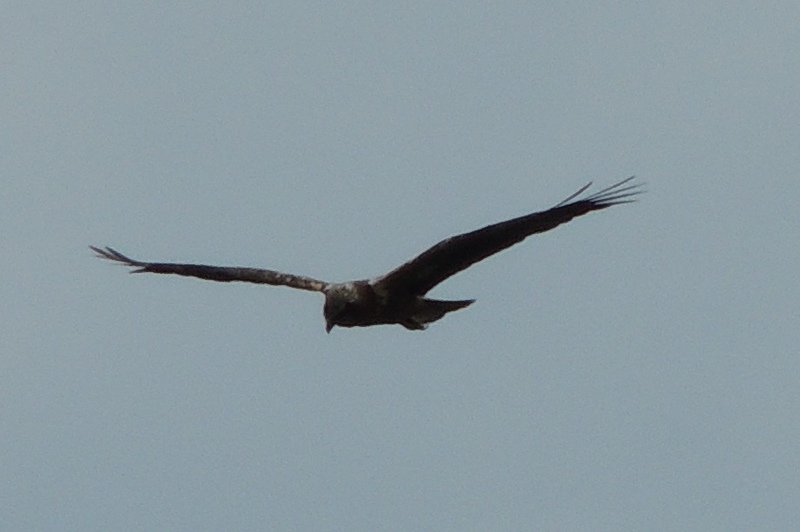 As expected good numbers of Marsh Harrier on constant view. Didn’t wait long for our first views of Monties when the female flew left but distant and often behind vegetation. The male followed the same route an hour later. Picked up earlier but again distant. Funny to see two “raptor-on-a-stick” bird scarers in the distance. A trap for the unwary? Next on to Townsend Hide where two Spotted Redshanks were roosting with a Greenshank. Nothing new from 1st Hide but the Ring-necked Duck was still from Xerox Hide. Unfortunately it was fast asleep along with accompanying Tufted Duck, Gadwall, Wigeon and Pochard. 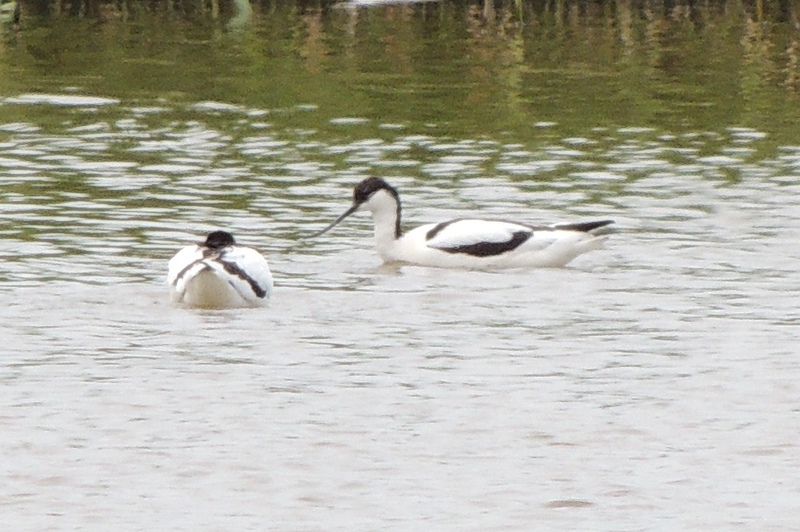 Finally on to Marshland Hide where we had our only four Avocet. Don’t know whether they no-longer breed on the site or had just bred early and moved on but told 100+ were on site last month. Didn’t bother walking all the way to Ousefleet Hide. Called in on North Cave Wetlands on the way home. Started in Crosslands Hide. The second Temminck’s Stint for the year had been seen Thursday evening only but little of interest today except a few Little Ringed Plover. Next was Main Lake. Like the marshes at Tophill Low NR much of North Cave Wetlands is a Black-headed Gull breeding colony. 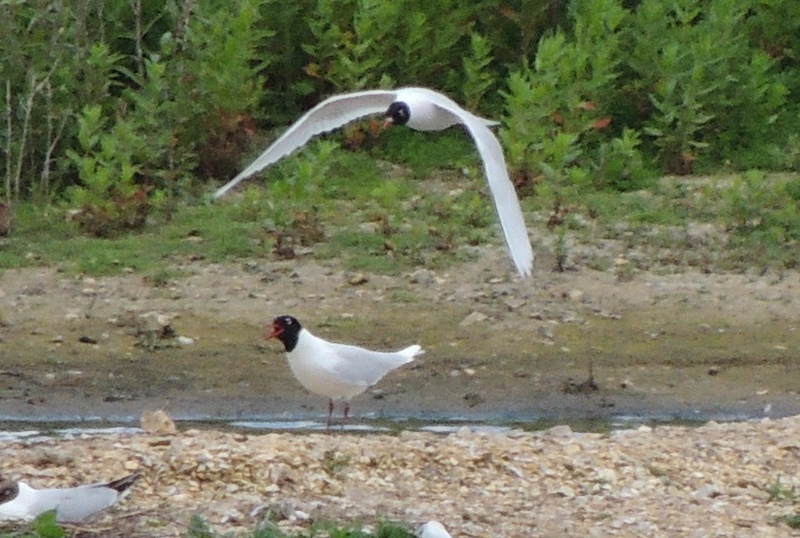 However among them on Main Lake are at least one pair of Mediterranean Gulls along with a least two other adults. Also had a flyby from the same Dakota I’d seen a few weeks back over Tophill Low NR. 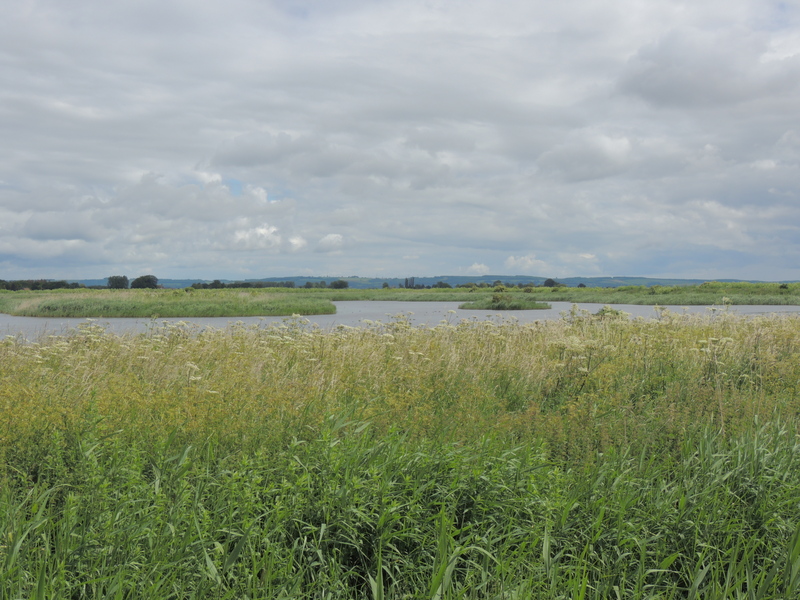 13/5 Went to North Cave Wetlands on Tuesday afternoon. Started in East Hide from where a pair of nesting Mediterranean Gulls could be seen. Then set off to do Main Lake for the first summer Little Gull and Dryham Ings for wader but was told about a Little Stint on Reedbed. Informed SG who had just left and headed for the Reedbed. Two Pink-footed Geese were still with the Greylags in the fields north of the reserve. The Little Stint wasn’t visible initially but not long after SG arrived he picked it up a small wader close in in the north-east corner. Not familiar with Little Stint in that plumage and with no other waders nearby to get an idea of size we weren’t sure if this was the bird. Another shot of the Little Stint. The hind claw confirming it wasn’t a Sanderling. 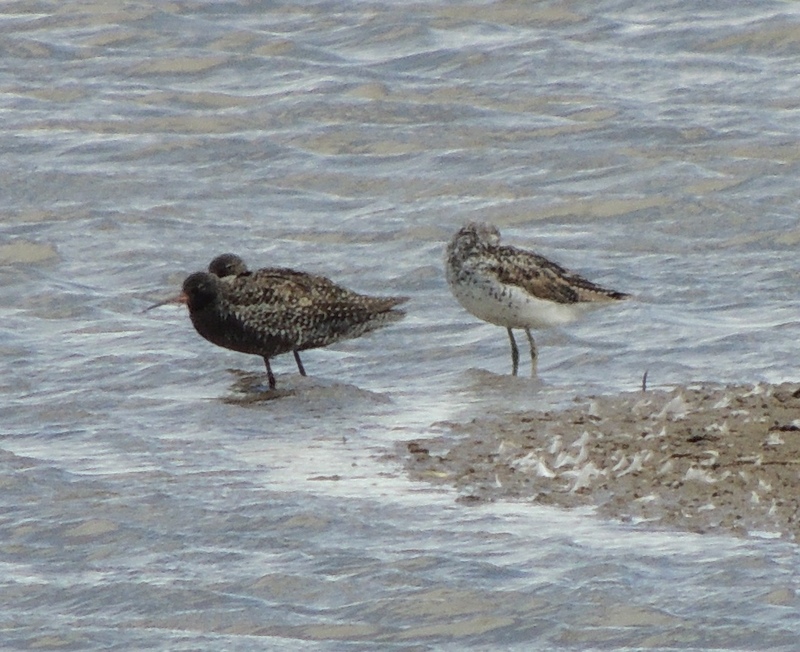 The only other small waders we could find were a few Little Ringed Plovers but they never came close. With the heavy rain and having got a few good photos we left the site passing GED on the way. 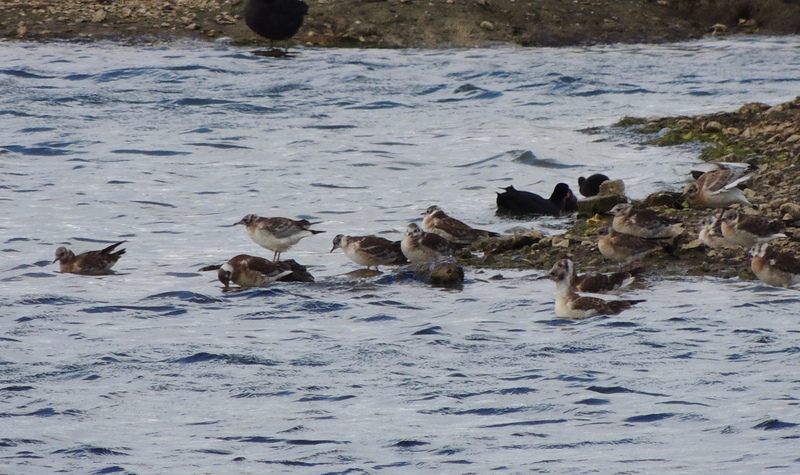 It was only later went GED had the wader with a Dunlin for comparison was it confirmed as a Little Stint, although of an unfamiliar plumage. 18/5 Got a call from SG mid morning Sunday morning that a Red-necked Phalarope was on Reedbed. There with in an hour with JH. On the way to Reedbed had a Stoat briefly on the path near East Hide. The Phalarope was showing fairly close although mobile. A moth caterpillar was crawling across the path as we were leaving Reedbed. 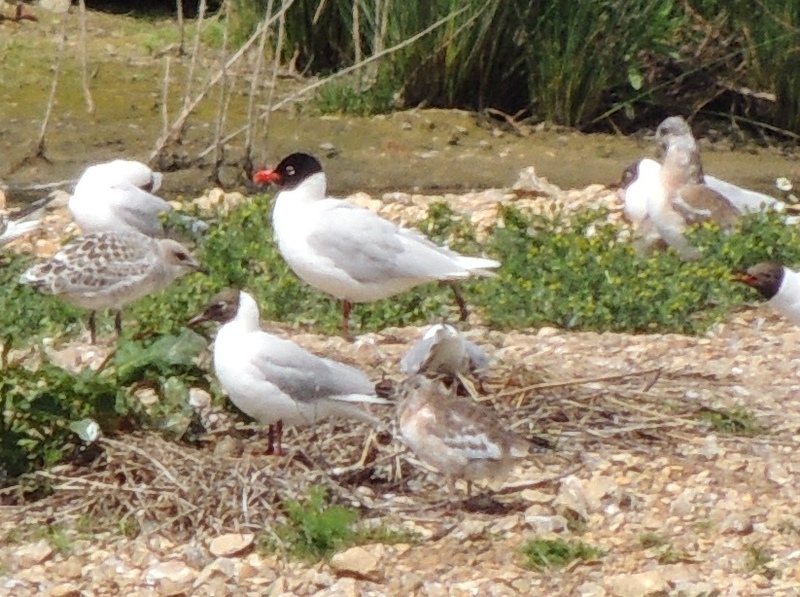 On the way out had another look at the nesting Mediterranean Gulls.